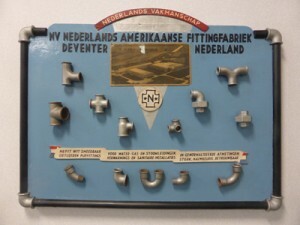 The name Nefit is an abbreviation of Netherlands Fittings. 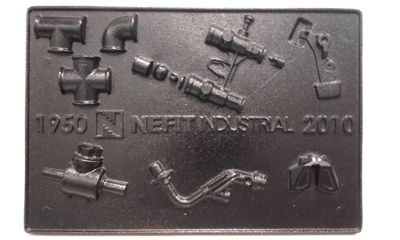 Nefit was founded in 1948 with Marshall Aid, to meet the high demand for fittings. In 1965, the American Crane Company became owner and changed the company name to Crane. 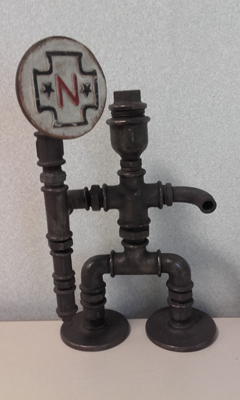 During that time the first cast iron heating boilers were developed and produced. After a management buy-out, the company was once again in Dutch hands and returned to trading under the name of Nefit. After the energy crisis, the first energy efficient boilers came to the market, with the well-known Nefit Turbo in 1980. In 1987, the company was split into a heating division (latterly acquired by Bosch) and the foundry, with the name Nefit Industrial. The two companies continued to be under one roof, until the end of 2014. The foundry, heat treatment, grinding & stamping facilities remained in the same location, although separated from the ' neighbour ' Bosch. Directly across the street a new factory has been built. With 8000 square meters of area there is ample room for machining, assembly, storage and distribution , offices, canteen and changing facilities for our staff.